I have been obsessed with kimonos lately. The easiest way to wear them is paired with jeans and a tank. 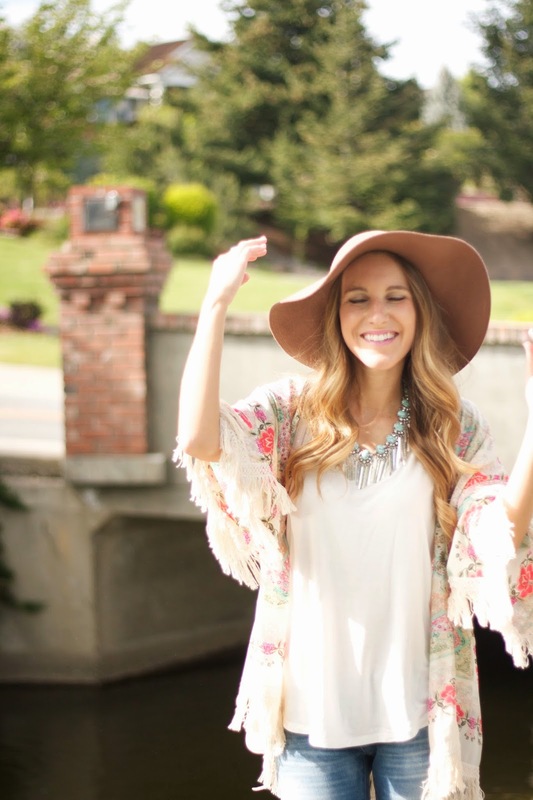 I love that I can take a fairly simple outfit and change it up just by adding a kimono! I can’t tell you how many times I have worn this outfit, but by switching out the kimono, it looks different every time! I love the pretty scarf print on this Chicwish option, but what really sold me was the fun fringe! 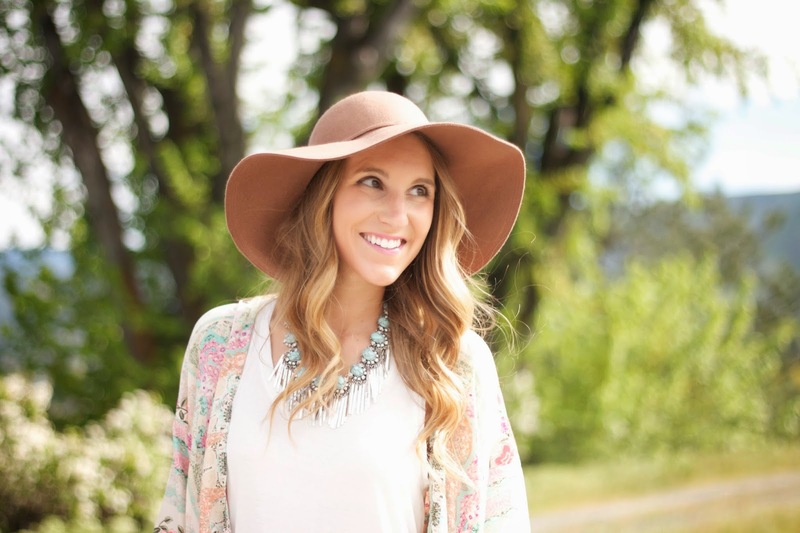 I played up the boho look by adding a floppy had and a sweet turquoise statement necklace! I have been wearing my hats WAY too often lately! They are just so perfect for fixing a bad hair day and seem to top off any outfit. I am on the hunt for a few new hats to add to my collection. I can’t decide exactly what I want, but am thinking any of these hat options would be perfect for the summer! Stay tuned to see what ones I add to my collection! Enter to win a pair of Valentino Rockstud Pumps HERE! Obsessed with this outfit. Loving the boho vibe. Very nice ensemble! So chic!